Fibre-reinforced plastic (FRP) (also called fibre-reinforced polymer, or fiber-reinforced plastic) is a composite material made of a polymer matrix reinforced with fibres. The fibres are usually glass, carbon, aramid, or basalt. Rarely, other fibres such as paper, wood, or asbestos have been used. The polymer is usually an epoxy, vinylester, or polyester thermosetting plastic, though phenol formaldehyde resins are still in use. FRPs are commonly used in the aerospace, automotive, marine, and construction industries. They are commonly found in ballistic armor as well. A polymer is generally manufactured by step-growth polymerization or addition polymerization. When combined with various agents to enhance or in any way alter the material properties of polymers the result is referred to as a plastic. Composite plastics refer to those types of plastics that result from bonding two or more homogeneous materials with different material properties to derive a final product with certain desired material and mechanical properties. Fibre-reinforced plastics are a category of composite plastics that specifically use fibre materials to mechanically enhance the strength and elasticity of plastics. The original plastic material without fibre reinforcement is known as the matrix or binding agent. The matrix is a tough but relatively weak plastic that is reinforced by stronger stiffer reinforcing filaments or fibres. The extent that strength and elasticity are enhanced in a fibre-reinforced plastic depends on the mechanical properties of both the fibre and matrix, their volume relative to one another, and the fibre length and orientation within the matrix. Reinforcement of the matrix occurs by definition when the FRP material exhibits increased strength or elasticity relative to the strength and elasticity of the matrix alone. 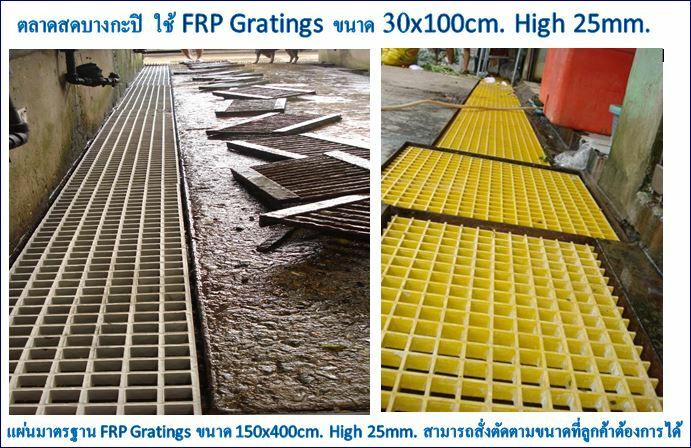 FRP can be applied to strengthen the beams, columns, and slabs of buildings and bridges. It is possible to increase the strength of structural members even after they have been severely damaged due to loading conditions. In the case of damaged reinforced concrete members, this would first require the repair of the member by removing loose debris and filling in cavities and cracks with mortar or epoxy resin. Once the member is repaired, strengthening can be achieved through wet, hand lay-up of impregnating the fibre sheets with epoxy resin then applying them to the cleaned and prepared surfaces of the member. Two techniques are typically adopted for the strengthening of beams, relating to the strength enhancement desired: flexural strengthening or shear strengthening. In many cases it may be necessary to provide both strength enhancements. For the flexural strengthening of a beam, FRP sheets or plates are applied to the tension face of the member (the bottom face for a simply supported member with applied top loading or gravity loading). Principal tensile fibres are oriented in the beam longitudinal axis, similar to its internal flexural steel reinforcement. This increases the beam strength and its stiffness (load required to cause unit deflection), however decreases the deflection capacity and ductility. For the shear strengthening of a beam, the FRP is applied on the web (sides) of a member with fibres oriented transverse to the beam’s longitudinal axis. Resisting of shear forces is achieved in a similar manner as internal steel stirrups, by bridging shear cracks that form under applied loading. FRP can be applied in several configurations, depending on the exposed faces of the member and the degree of strengthening desired, this includes: side bonding, U-wraps (U-jackets), and closed wraps (complete wraps). Side bonding involves applying FRP to the sides of the beam only. It provides the least amount of shear strengthening due to failures caused by de-bonding from the concrete surface at the FRP free edges. For U-wraps, the FRP is applied continuously in a ‘U’ shape around the sides and bottom (tension) face of the beam. If all faces of a beam are accessible, the use of closed wraps is desirable as they provide the most strength enhancement. Closed wrapping involves applying FRP around the entire perimeter of the member, such that there are no free ends and the typical failure mode is rupture of the fibres. For all wrap configurations, the FRP can be applied along the length of the member as a continuous sheet or as discrete strips, having a predefined minimum width and spacing. Slabs may be strengthened by applying FRP strips at their bottom (tension) face. This will result in better flexural performance, since the tensile resistance of the slabs is supplemented by the tensile strength of FRP. In the case of beams and slabs, the effectiveness of FRP strengthening depends on the performance of the resin chosen for bonding. This is particularly an issue for shear strengthening using side bonding or U-wraps. Columns are typically wrapped with FRP around their perimeter, as with closed or complete wrapping. This not only results in higher shear resistance, but more crucial for column design, it results in increased compressive strength under axial loading. The FRP wrap works by restraining the lateral expansion of the column, which can enhance confinement in a similar manner as spiral reinforcement does for the column core. 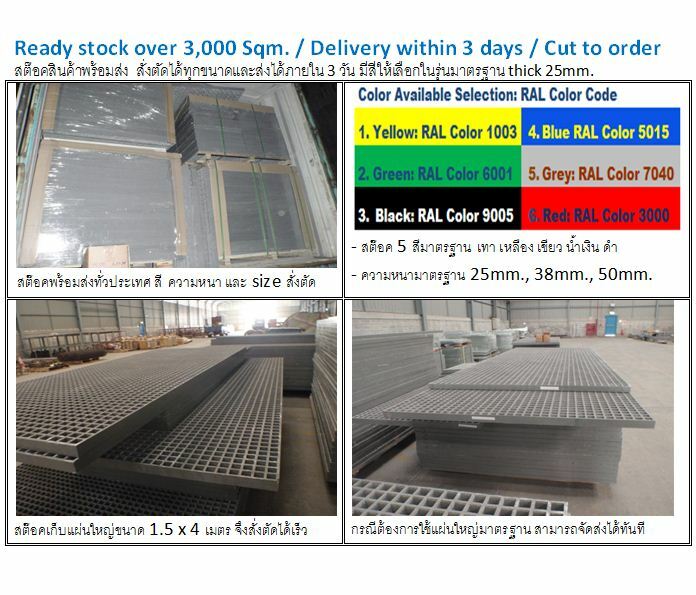 Fiberglass Grating Structural stair treads Pultruded profiles ladders solid plate stair tread covers nosings hand railings fittings deck Covered Grating FLANGES cable trays FRP transparent grating hand-lay-up products Trench & duct covers Special grating Grating clips FRP molded grating FRP/GRP walkways anti-slip A slick and moist floor is a significant hazard. Some surfaces like tile and laminate are prone to becoming extremely slippery when moist. Accidents that occur as a result of a misplaced foot can be embarrassing, painful, and very costly. It is always a good idea to have anti-slip floor mats set in place, especially in an area prone to wet conditions. Rubber-Cal’s line of safety flooring mats is an ideal and affordable solution to safeguarding your area from the dangers of moisture while making sure that you and your guests are secure on your feet. A huge part of this safety lies in the rubber material used to make our anti-skid flooring. It enhances traction and inhibits moisture at the same time. Every type of floor, whether it is residential, commercial, or industrial, can benefit from the presence of rubber traction mats. The primary feature about anti-slip floor mats is that they increase the safety of wet areas. Business owners take an interest in rubber non-slip mats because of this reason. Some commercial venues like restaurant kitchens are hazardous areas that see lots of loose liquids getting onto their existing floors. Without any safety flooring in place, the risk of workers slipping and injuring themselves is far greater. In addition to kitchen areas, these mats are ideal to place at entryways when there are wet weather conditions. With rubber anti-slip floor mats placed in such areas, people will experience more security while on their feet. This safety is provided in large part thanks to the rubber material that is used in our traction mats.